In late August we submitted comments of the Environmental Impact Statement for the Mammoth Base Land Exchange. 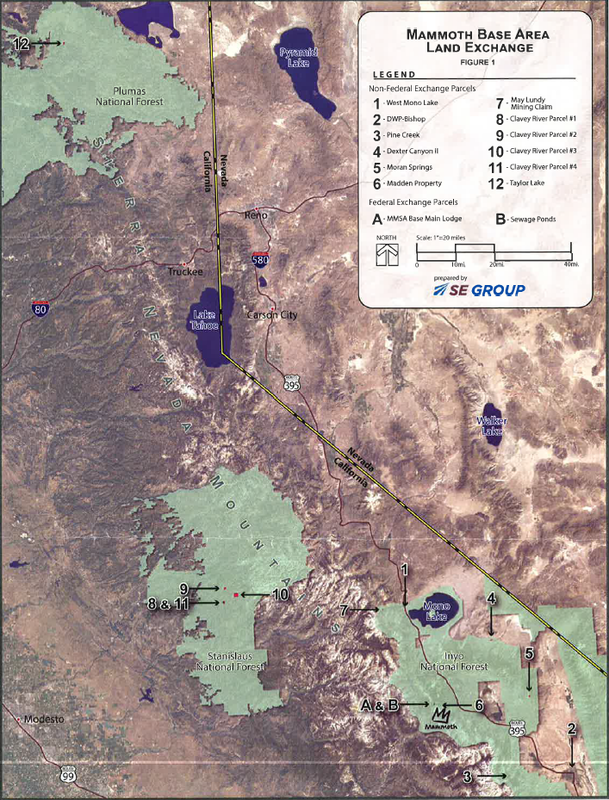 Under the Proposed Action, the Forest Service would exchange approximately 35.6 acres of National Forest System lands within the boundaries of the Inyo National Forest, and currently managed as part of a Ski Area Term Special Use Permit to Mammoth Main Lodge Redevelopment, LLC in exchange for approximately 1,296.7 acres of privately owned lands located within the boundaries of the Inyo, Plumas and Stanislaus National Forests and one 1.4 acre parcel in Bishop, CA adjacent to the White Mountains Visitor Center. We expressed our concerns that the EIS did not adequately address impacts to wildlife, groundwater and recreation at Mammoth Mountain. We also provided recommendations for future management of the parcels that would become public land. If you wish to receive a copy of our comments please contact jora at jora@friendsoftheinyo.org.